Emily's fragile sense of security is about to be shaken. Her mother has been released from rehab and her father intends to bring the family back together again. The threats of her past once again cast dread as she braces herself with a resolve to protect her younger siblings from the horrors she once endured. Knowing that she cannot hold onto her secret much longer she returns to a world of escapism in which she may very well be her own worst enemy. 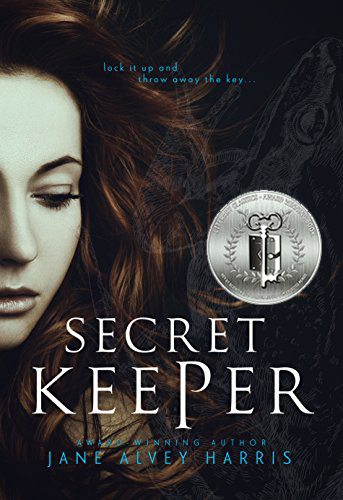 In Secret Keeper, Author Jane Alvey Harris has created a world in which real-life and fantasy merge into one mind-altering realm. The characters and other-worldly elements in this story are all expertly developed, and the premise of this book gives cause for much personal introspection as one considers the ways in which we all deal with our own realities. This book offers a powerful perspective on a subject that is rarely addressed with such bold conclusion. Secret Keeper, is the second book in the My Myth Trilogy, following Riven. We do not recommend reading these books non-sequentially as there is a great deal of development and back-story that is essential for reading book 2.